If you graduated or quit school this past May or June, your six-month grace period is about to expire and Uncle Sam wants to start getting his money back. Have you actually sat down to determine how much you owe on your student loans? Given the fact that they’re parceled out one semester at a time and that you might have gotten several different types of loans, it wouldn’t be surprising if you didn’t know exactly how much you owe. Fortunately, there is an easy way to figure this out and that’s the National Student Loan Data System (NSLDS). Go to its website, log in with your student ID and you’ll be able to see all of the information about your federally backed student loans. This will include the date the funds were disbursed, the amount you borrowed on each loan, the amount you owe and the type of loan. You can save all this information to your student loan portfolio, which is a good idea, as this will make it much easier to access the data in the future. If you don’t yet have a job or are a member of the “underemployed,” you could think about applying for a deferment or forbearance. A deferment would give you a temporary 12-month “timeout” before you would have to start repaying your loans. If you have a Direct Subsidized Loan, a Federal Perkins Loan, and/or a Subsidized Stafford Loan, the government will pay the interest on it during that 12-month period. If you don’t qualify for a deferment, you could try for forbearance. This would also give you 12 months where you would not have to make your payments or it could mean a reduction in your interest rate. However, the interest charges will continue to accrue on both your subsidized and unsubsidized loans as well as any PLUS loans. How do you get a deferment or a forbearance? If you want to apply for a deferment and have a Direct Loan or FFEL Program loan you will need to call your loan servicing company. For Perkins loans contact the school you were attending when you got the loan. Forbearance is a bit different in that there are two types – discretionary and mandatory. 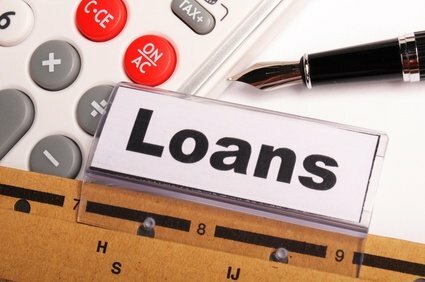 You will need to discuss this with the company that services your loan as it will decide whether to give you a discretionary forbearance. On the other hand mandatory forbearance is just that. Your loan servicer must give you forbearance if you are serving a dental or medical internship, employed in a national service position, or teaching in a program that qualifies under teacher loan forgiveness. Note: There are some other circumstances where you would be eligible for a mandatory forbearance and you can learn about them by clicking here. Assuming you did not choose another repayment plan you were automatically put into Standard 10-Year repayment. Under this plan you will have a fixed monthly payment and 10 years to repay the loan. If you believe you would have a hard time making those payments, there are alternatives. One of the most popular of these is Graduated Repayment. Choose this program and your payments would start low then increase gradually every two years. This can be a good option if you are just starting out in your career and are a low earner. The idea here is that your salary will also grow over the years so that it will be easier for you to make those payments as they get bigger. A second way to reduce your payments is through Extended Repayment. Under this program you are given up to 25 years to repay your loans instead of the standard 10. While this would lower your monthly payments dramatically, you would end up paying more interest over the life of the loan because of its longer term. There are also three income driven repayment programs – Pay As You Earn, Income Based and Income Contingent. As you might guess from their names all three of these programs base your monthly payment on your income. Pay As You Earn was in the news recently when Pres. Obama issued an executive order that made about 3 million more people eligible for the program. If you are one of them you could see your monthly payments capped at 10% of your disposable income. Income Based repayment also has eligibility requirements and caps your monthly payment at 15% of your disposable income. Income Contingent repayment basically has no eligibility requirements and also caps your monthly payment at 15% of your disposable income. One of the biggest benefits of federally backed loans is that you can always change repayment programs. As an example of what this means, you could start with Graduated Repayment, wait six years until your payments have grown larger and then change to Income-based Repayment. The best way to save on your monthly payments is to switch to a repayment program with lower payments. However, there are some other ways to save money on those payments. For example, you could save a bit if you sign up for auto pay where your payments are automatically taken out of your checking account each month. Also, you can deduct as much as $2500 of the interest you paid on your federal and private student loans on your federal income taxes. Finally, you could consider consolidating your loans. There are several reasons to do this. First, you would then have just one monthly payment to make in place of the multiple ones you’re making now. Second, you would likely have a lower interest rate and you would definitely have more years to repay the loan, which translates into lower monthly payments. While there is a lengthy explanation of how the interest rate is calculated if you get one of these loans, the simplest way to put it is that your new interest rate will be higher than the lowest interest rate you’re currently paying but lower than the highest. Get a private consolidation loan? You could also opt for a private consolidation loan. The interest rates on these loans are very low right now so you might be better off with one of them. However, as with many things in life, it’s important to shop around so that whether you get a federal loan or a private loan, you get the best deal and a payment you can live with –as you will need to live with it for as many as 25 years. Don’t rush out to get either a Federal Direct Consolidation loan or a private loan until you understand the downside, which is that you would lose the perks that come with other types of federal loans. For example, you would no longer be able to change repayment plans. You wouldn’t be eligible for deferment, forbearance, forgiveness or loan cancellation. And you won’t be able to take advantage of any of the income-based repayment plans. As you have read there are a number of different ways to handle your student loans but there is one thing you should definitely not do and that is miss a payment or be late making a payment. 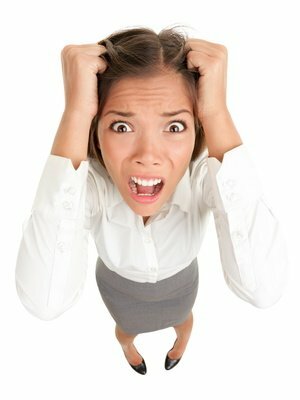 With federal loans you are considered to be in default the day after you miss a payment. This won’t be reported to the credit bureaus for 90 days but when it is reported it will have a serious effect on your credit score. Plus, the government can get very ugly when it comes to collecting arm defaulted student loans. It can garnish your wages without having to go to court, seize part of your income tax refunds or even prevent you from getting a professional license.